It seems that social media is constantly on the news, especially lately with Facebook’s Cambridge Analytica scandal. But despite the current bad press, a large amount of consumers are still on social media, as well as most businesses. In fact, 71% of small businesses are on social media, according to recent research from Clutch. Of the businesses that use social media, 86% use Facebook. Facebook is the most popular social media platform because it has been in the market longer than most. It also helps that Facebook has a larger audience than other social media platforms, at more than two billion users. Facebook is so successful that 58% of businesses plan to increase their investment in the platform in 2018, according to recent research from The Manifest. Millennials live and breathe social media already – they grew up in the social media world, and it’s a daily part of their lives. It makes sense that 79% of millennial-owned businesses use social media versus 65% of businesses owned by older generations. Business owners run their companies with what they know. Millennials know that social media is a crucial part to a successful business in this day in age. With the growing amount of consumers and a business’ competitors getting on social media, it makes sense that these businesses start too. Most s mall businesses see the importance of publishing social media content on a consistent basis with 52% publishing content every day, and 79% publishing weekly. It’s important for businesses to post regularly on their social media channels with high-quality and valuable content. If their social profiles’ most recent posts are from several months ago, they don’t ask questions, and don’t provide value to their audience, no one will engage with the content or profile. You want to be visible and become a leader in the industry to your followers and potential customers. By creating a social media presence, you’re showing them just that. Since most of these businesses publish content daily, what do they publish? Businesses publish a variety of content on social media, but the most popular type is images, by 54%. These photos posted onto their social media can include their products and services, the business’ team, the community, or any type of entertainment that the business’ audience would want to follow and like. Humans are visual beings. High-quality images appeal to consumers when they are scrolling through their newsfeeds. Using visual content helps companies stand out on social media because their consumers want to engage more with images that seem more professional and valuable. Businesses publish a variety content regularly because it leads to increased engagement. 20% of businesses agree that this is the most important metric so social media. Businesses value social engagement because it shows if the content they are sharing is doing its job. Is the content reaching who you are targeting? Is it creating a greater following? Is it creating a ROI? 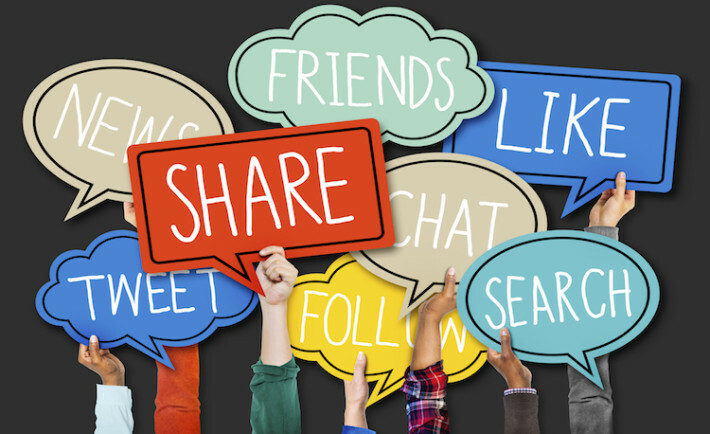 If no one is reacting to, following or sharing your content, is it really worth your time? Engagement is also an easier metric to track than others because it’s easy to see how many people have liked, commented on, or shared your posts. Conversion, revenue earned, and ROI from social media are also important but are harder to track, which is why companies don’t always see their value. 46% of small businesses buy advertising on social media, something that is becoming more essential. Social media has become a pay-to-play game, and the reach of organic content has decreased. For a business to reach more consumers, it should use paid social advertising. Even a small social advertising budget can reach more consumers than organic content. Although just half of small businesses use social advertising according to the survey, that number should be 100%. Social media is here to stay, so businesses need to invest time and money in this technology. In fact, of the businesses already using social media, 92% plan to increase their social media investment, indicative of social media’s staying power. Businesses need to invest in social media. It spreads brand awareness, keeps followers interested in your business, and leads to sales. It’s 2018. If your business isn’t on social media, you’re missing out on one of the most successful marketing tools possible.